One of my favorite jazz albums is Sonny Rollins’ “Tenor Madness.” It was recorded in 1956 and is especially notable because it’s the only known recording that features both Sonny and John Coltrane. I used to listen to just the title track “Tenor Madness” over and over again wherever I went. It got to the point where I could basically sing along with all of the solos, and I still like to revisit this recording from time to time. In today’s lesson, I’m taking a look at some of the jazz language Sonny Rollins played in his solo on Tenor Madness. Tenor Madness has a typical jazz blues form and chord changes. I’ve transcribed 5 really awesome licks and am taking a look at what made them catch my ear and why they are so valuable to learn. Sonny Rollins is one of the best saxophonists and jazz musicians, in general, to ever exist. 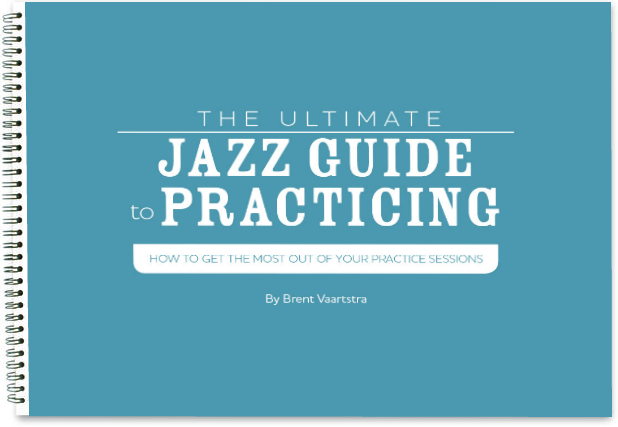 And when it comes to learning how to play jazz, what better way than to look to those who do it best? While I do have these 5 licks notated out for you, they are mainly for demonstration purposes so we can analyze them together. 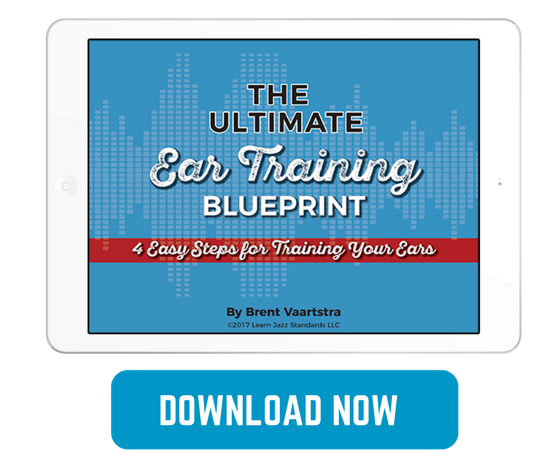 At the end of the day, there is no better way to learn jazz language than to learn it by ear. If you simply read these licks off of the page you will be missing so much of the depth and richness of what Sonny actually played. In fact, one thing that makes Sonny’s playing so awesome and unique is the way he phrases things. In some cases, the way he plays a line can be hard to notate without missing all of the nuances. So I encourage you to listen to each of these licks and try to learn them by ear. Below I have a video of Tenor Madness so you can follow along. I have the track time listed for each lick so you can easily find them. Here’s a chord chart for Tenor Madness so you can follow along. The bulk of this lick is over a ii-V-I chord progression which is easily the most common chord progression in jazz. I love learning ii-V-I language because I know I can put it to good use. This lick starts out on the VI7 chord, which I have labeled as a #9 because Sonny plays a Bb in his pickup into the ii-V-I. The note I think makes the line really nice is the Db in bar 3, which is the b13 or #5 of the F7. Essentially he is implying a F7(b13) over the V chord. This lick is over bars 3-7 of the blues form. I like this lick not only because it sounds great, but because it’s nice to see how Sonny connected the I7 to IV7 chord and then back to the I7. He connects them seamlessly and outlines each chord so organically. In bar one he seems to have a pick up into Bb7(b13) that outlines a G major triad. It may seem odd, but if you relate those notes to a Bb7, G is the 13th, B natural is the b9, and D is the 3rd. There is an implied Bb13(b9) in there. I’m not sure if that was his intention or not, but regardless it sounds good! To transition from the I7 into the IV7 he implies a Bb7(b13) to essentially make the Bb7 a V of IV. This is a short but sweet lick over a short ii-V-I. Short meaning the ii and V are only played for two beats each. He is essentially adding a ii-V to transition into the IV7 chord in bar 5 of the blues form. I like short ideas like this because they are great takeaways and Sonny plays something really beautiful here in such a short span of time. Notice that the Db and the B natural are the #9 and b9 of the Bb7 chord. That sounds creates a lot of tension and release when it resolves to the Eb7. This is my favorite line that he plays in his solo. Essentially he is implying an entirely different set of substitution chords over top of the form. Be sure to listen to this lick on the recording because his phrasing is especially unique here, and the notation doesn’t quite do it justice. This is over bars 5-9 of the blues form. I have to admit, I’m not entirely sure what he was thinking or doing here, but the chord changes I have above the treble clef notation is my best guess at what he was aiming for. The chords above the bass clef notation are what would be the original chord changes. From analyzing what he is playing it sounds to me that he turns the IV chord into a minor iv chord in bar 2. Since there is a C in there you could even call it a Ebm6 chord. The only note that doesn’t quite add up to that is the D natural that he plays. The rest of his line checks out with that chromatically descending progression, which is a fairly common substitution leading into the ii chord. To me, this line is genius. Here’s a video I posted explaining this particular lick in futher detail. This lick takes place right at the beginning of the form and is over the I7-IV7-I7. This is another great line for seeing how to smoothly connect these two chords together. It has a particularly nice chromatic flow to it and Sonny implements a lot of enclosures in this line. 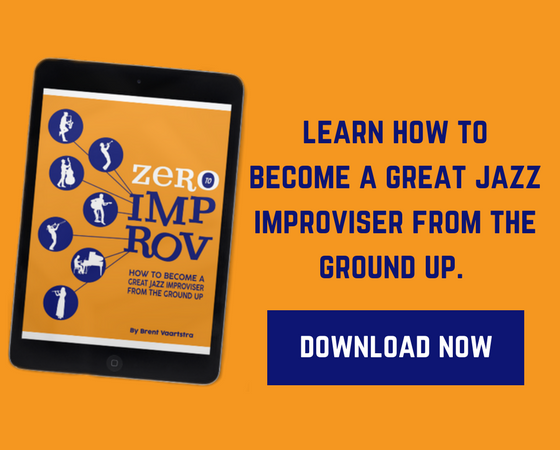 Go through the rest of Sonny’s solo and see if you can find more ideas that you like and learn them. Happy practicing! Hi Brent, thank you so much for your tips! You're right, lick n.4 is amazing! No problem! Glad you're with me on that. I appreciate enormously that you have included a transcription in the F key of the given examples. As I am a bass player I prefer reading in that key in stead of the more common G key. I was already thinking of asking you to do just that and apparently you have read my thoughts. Thanks a lot. I enjoy your lessons. Hey, not a problem Robert! Sometimes it's hard to make examples work for everybody, but I always try my best.